Ogilvy Noor has become the world’s first Islamic branding consultancy after WPP, the advertising group led by Sir Martin Sorrell, launched the unit in a bid to unravel the motivation behind 1.8bn Muslim consumers. The launch culminates a two year study by WPP into Muslim consumer habits and attitudes, the largest ever undertaken and attempts to “illiminate” (Noor being Arabic for light), the spending habits of the faithful. This showed that Muslims consume differently from those of other religions and none with particular concepts such as “ummah”, the notion of a wider global Islamic religious community, holding great sway through its promotion of community over individualism. A surprising Islamic champion which has cottoned on to this concept is Milo, a malt based chocolate drink manufactured by Nestle. A clever marketing campaign aimed at promoting nutritional benefits for children sees the brand sponsor school events in Malaysia, thus feeding into into a notion of the greater good. Not all brands have succeeded in making inroads into the Islamic market however, financial firms in particular have come unstuck as sceptical consumers look beyond the Sharia compliant banking arms and ask probing questions of the head office functions. This sees politically aware consumers not afraid to walk away from companies seen to support Israel or who invest profits in controversial sectors. Irfan Younis, Founding Director of Oceanic Consulting, the UK’s leading Ethnic consulting and promotions company, is currently working on Be Halal, Scotland’s first Islamic exhibition. He told The Drum: “There is increasing commercial awareness of the Islamic market in Britain. Firstly, Islamic countries are increasing their global exposure and a number of the World’s leading agencies have opened up in Islamic countries. Better products and innovation will separate the playersThe country’s existing Islamic banking players remain unfazed by the upcoming competition in the form of more licences to be issued for world-class Islamic banks and takaful operators. CIMB Islamic Bank Bhd executive director and chief executive officer Badlisyah Abdul Ghani said the move would result in a greater variety of syariah-based financial services and products being offered to the public. “This, of course, will bring about a more competitive range of products. The challenge for existing players is to continue to innovate and not lose ground here and look for expansion opportunities in the region,” he told StarBiz. KFH Research Ltd said the players would have to further improve on products and services to retain market leadership. “As competition increases, we also expect the local Islamic banks to aggressively grow their Islamic banking business within the region, if not globally,” it said. The financial sector liberalisation plan includes the issuance of licences for seven banking and two takaful players from 2009 until 2011. It also increases limits of foreign equity ownership to 70% from 49% for investment banks, Islamic banks, insurance companies and takaful operators. The measures would also see the issuance of up to two new licences for Islamic banking with a minimum paid-up capital of US$1bil, as well as up to two new licences for family takaful. Recently, the National Bank of Abu Dhabi, one of the United Arab Emirates’ biggest banks, was reported to be interested to operate in Malaysia. Currently, there are about 17 Islamic banking institutions in Malaysia. However, given that the global economy was still in recovery mode, KFH Research did not expect many foreign players to enter the local market this year. “The prospect for Malaysia is bright, however, given its position as one of the most developed Islamic finance market,” it said. The industry performed very well last year, with the market share of total banking assets and deposits surpassing 18% and on target to achieve 20% mark this year. In its Financial Master Plan outlined in 2004, Bank Negara has targeted Islamic banking assets to carve a 20% market share of the banking industry by this year. The figure stood at about 19% in June last year. As of November 2009, the total Islamic financing of RM115bil constituted 15.5% of the financing portfolio of the banking industry while net non-performing financing remained low at 2.4%. Malaysia’s Islamic capital market reached RM803bil in August last year, representing 54% of Bursa Malaysia’s market capitalisation then. Many are not aware that Malaysia has the largest Islamic equity market in the world with about 88% of all stocks listed on Bursa Malaysia deemed as syariah-compliant. KFH Research said Islamic finance survived the crisis due to a number of key factors which were in line with syariah. This starts with the ban on interest where any pre-determined payment over and above the actual amount of principal was prohibited, as interest (or the intrinsic value of the money) is deemed unlawful by syariah. “Second is the ban on uncertainty or speculation. However, risk taking is allowed when all the terms and conditions are clear and known to all parties. “Also, the profit and loss-sharing principle is where parties to a financial transaction must share in the risks and rewards attached to it. “Asset-backing principle also helps as each financial transaction must refer to a tangible and identifiable underlying asset,” said the research house. According to CIMB Islamic Bank Bhd executive director and chief executive officer Badlisyah Abdul Ghani, Islamic finance survived the recent economic crisis because it never participated in the US subprime market. “And there are two reasons for this – first, Islamic financial institutions were not sophisticated enough to participate in the market. “Also, the objective of doing Islamic finance is for maximum profitability and social responsibility, which means we cannot take part in something that at the end of the day will negatively impact the society,” he said. OCBC Al-Amin’s Syed Abdull Aziz said Islamic finance was cushioned from the initial effects of the financial crisis as the industry was prohibited from getting involved in transactions that give rise to “gharar” (uncertainty), such as subprime mortgage collateralised debt obligations. Local Islamic banks need to innovate more to remain competitive within the industry following the government’s move to liberalise the financial services sector. “I think it is a question of survival for competitors. Local players need to buck up and innovative more to effectively compete. “With foreign banks stating an interest in moving to Malaysia, it is essential that they do this to move ahead,,” said Bank Islam Malaysia Bhd Managing Director, Datuk Seri Zukri Samat Monday. He told Bernama this after the signing ceremony of Bank Islam’s closed RM330 million syndicated facility for Kedah Sato Sdn Bhd’s new Kolej Universiti Insaniah (KUIN) campus in Baling. He said in promoting Malaysia to become a leading international and regional hub of Islamic finance, the country needs more industry players. “My view is that, the interest of the foreign parties, will basically strengthen our position as an Islamic financial hub. When they come in, they will bring along more products and even capital. “Personally, I welcome them,” he added. Recently, it was reported that the National Bank of Abu Dhabi – one of biggest in the United Arab Emirates – plans to start commercial banking operations in Malaysia under the liberalisation plan. Meanwhile, Bahrain-based Islamic lender, Al Baraka is in talks to buy a stake in Malaysia’s Bank Muamalat. “I think the cake is still big enough for everyone to share. But I will not say, local players would not be affected by the liberalisation move. Some will be. “However, there are niche areas, where local players need to position themselves and perform,” he explained. He said the Islamic finance industry in Malaysia is growing faster than conventional banking, with a 20 per cent growth annually. Asked if there would be any joint-ventures with foreign parties, he said: “If they are already here, I don’t think we need to have any form of cooperation. “Of course, they have to be members of the Association of Islamic Banking. “On that platform, we will cooperate with one other. But I don’t think, there is a specific strategy to collaborate with these banks,” he explained. Zukri also said, he is confident the Islamic finance industry will show a positive trend this year. While Islamic finance grows at a marked clip in the GCC and Asia, what is its prognosis in Europe? As we’ll see in this article, a considerable demand exists for Islamic banking products in Europe but to date, for a number of reasons including risk-aversion and conservatism, this need has gone largely unfulfilled. The Islamic banking market continues to flourish around the world with current estimates suggesting that assets managed by Islamic banks are in excess of $700 billion – predominately concentrated in the Middle East. It is a fact that there are sufficient Muslim investors and borrowers in both Islamic and non-Islamic countries to warrant the attention of traditional banks that seek to serve such clients and capture a potentially profitable slice of a still relatively untapped market. This is corroborated by the growth of Islamic finance in the US, which has a population of over 7 million Muslims. The challenge for European financial institutions is how to leverage their banking knowledge and expertise in developing sufficient products and services that fulfill the requirements of their Islamic customer base while being compliant with Islamic finance principles. Islam is not only concerned with the relationship between man and God but it is also a system of beliefs, justice, equity, fairness and morality which are the values that underpin the entire Islamic way of life. These beliefs are governed by the body of Islamic principles generally referred to as Shariah, which is used to develop and create Islamic financial products. There are more than 14.74 million Muslims in Europe, of which 1.8 million are resident in the UK plus an additional 72 million in Turkey. There are 360,000 Muslim households in the UK. The following table illustrates the potential market size in mainland Europe for an Islamic bank, as well as highlights the potential for extra-European expansion in countries such as Turkey. The UK is the first country in Europe to promote and encourage retail Islamic banking and it is in the process of embracing Islamic financial techniques by introducing new laws to facilitate further market entry and practice of Islamic finance in the UK. In a research carried out by The Runnymede Trust, “Islamophobia – a challenge for us all,” the Muslims from Middle East and Africa represent 24% of the total Muslim population in the UK. Islamic banking in Europe will inevitably focus on both the retail and institutional customers as these are the two major dominant players in the market. As the table clearly illustrates there is a significant retail market opportunity in Europe for new retail banks, but in terms of sheer volume of transactions the institutional market provides the more lucrative opportunity for the Islamic banks. The UK has taken a major lead in Europe in promoting and encouraging Islamic banking activities but this has mainly focused on retail banking and only more recently on investment banking. The Financial Services Authorities (FSA) in the UK has only authorized one Islamic retail bank which is the Islamic Bank of Britain (IBB). Although other investors have looked into the retail banking arena, no other dedicated competitors have entered the retail market, mainly due to the level of investment required to acquire the critical mass customers that are needed to ensure the retail bank is profitable. There is potentially one Islamic retail bank in France called Tayseer Bank with is going through the authorization process from regulators and should be operational in the near future. The major hurdle for IBB and any new Islamic retail bank in the UK and Europe is having banking products that are competitive with conventional products offered by other retail banks. Also, competitive product development provides opportunities for potential new entrants into the market to differentiate themselves and add competitive advantage against existing banks in the market. More recently in the UK, there have been new Islamic investment banks authorized by the FSA including the European Islamic Investment Bank and the most recent entry, Gatehouse Bank. In total, there are five Islamic investments banks in the UK focusing on institutional investors in Europe and also looking to gain institutional funding from organizations in the Middle East. The Islamic investment banking sector in the UK has flourished enormously with other potential new entrants in the pipeline. The trend in the UK seems to be that bankers believe it will be more difficult to make profitable businesses from the retail customer base while the institutional market is seen as an area where Islamic banks can make significant inroads into the European market. Further supporting the rise of Islamic banking activities is the fact that the UK government is making a concerted effort to turn London into a global hub for the industry. Developing Shariah compliant retail financial products can be complex, with a multitude of options available. Before embarking on such a route, it is paramount that the target customer base for the product is clearly defined and their needs and priorities are understood. As in European banking, where there is no ‘one size fits all’ approach to product development, the same can be said of Islamic banking, with an array of customer segments each with different product and service requirements as well as brand criteria. In terms of product, a key differentiator between Islamic banking customer segments is the interpretation of what constitutes acceptable levels of Shariah compliance. The scale is divided between the more traditional and conservative customers on the one side, and those who seek higher levels of Islamic assurance on the other. Certain customer segments are willing to pay a premium for the most compliant Shariah products, whereas others will be more attracted to products that are only part Shariah compliant but offer a more competitive rate. Prior to designing a Shariah compliant product concept, the requirements of the target customer segment should be clearly understood, and the resulting costs and benefits weighed. In addition to the product, service requirement is another area that will differ between customer segments. Characteristics such as a customer’s age, education, lifestyle and desired relationship with the bank will determine these criteria. Delivering against these is a key element in the proposition and will differentiate banks, which otherwise might offer similar Shariah compliant products. The community spirit and culture has been lost from banking in the UK and these adjustments in the delivery services have marginalized the small trader and sole proprietor who no longer has a local branch of his/her bank for cash deposits and withdrawals, and the collection/exchange of coins. The Cruikshank Report published in 2000 highlighted the poor service provided by the traditional banking community in the UK. More importantly, the report focused on the high level of charges being imposed by traditional banks on their clients due to cartel structures and difficulties for clients changing banks. The recently published financial results of the major banks show that this position has not changed. The ethos and values offered by retail Islamic banks go against these trends and thus provide a unique selling point against conventional retail banks. 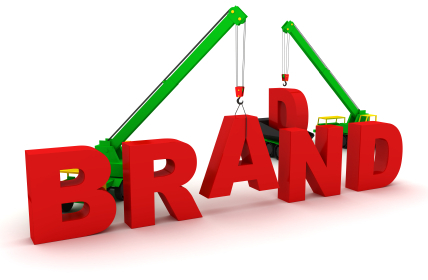 Brand recognition is also a key factor that will differ between customer segments. Certain customer segments will only bank with brands that have a strong history and presence in Islamic countries, whereas other customer segments will be more willing to accept European brands with the right product and service propositions. As with any new product development, prior to taking a Shariah compliant product to market, the customer segments which form that market must be understood, their product, service and brand criteria defined, and the economic, technical and regulatory feasibility of delivering against them assessed. Only by doing this will banks be able to develop compelling propositions that provide the desired level of return. In the wider context, Islamic finance faces the perpetual challenge that it operates as a subset of conventional finance which is based on fundamentally different premises. While this may be a limiting facet (in that Islamic financial institutions must model their products after conventional models) Islamic financial institutions (IFIs) also have the capacity to innovate within this space. In a sense, the constraints can become boundaries that Islamic finance pushes. Certainly, in the current context of financial intuitions failing the world over, IFIs might be able to showcase their own equitable forms of financing and risk sharing. This in turn may allow IFIs to influence the development of financial systems the world over. In Europe, the UK is leading the charge to enact laws that embrace Islamic banking. It abolished double stamp duties that until recently hindered the purchase of a property under Islamic principles. The UK Government is reviewing other laws in order to soften the establishment and offering of Islamic banking products and naturally this has opened the doors for European banks to further their focus in this market. In 2005, Lloyds TSB launched services that provided Shariah compliant banking products to its existing retail customer base, but these products were merely white labeling an existing limited product range, and thus not competitive compared to conventional retail banking offerings in the UK. This was the first major activity from a European bank in this market and has encouraged other banks to evaluate their strategy and to take a closer look at this market. As the market for Islamic banking grows, there is also a need for IT systems that can accommodate an innovative mix of products and provide an efficient cost effective pricing for banks to offer Shariah compliant products. Currently there is no recognized universal IT system for Islamic banks thus resulting in bespoke systems being implemented which are not necessarily providing the services required by banks, hence limiting their product development capabilities. A European bank using effective IT systems and developing Shariah compliant products will have the key competitive advantage over their rivals and as a result will, without a doubt, ensure that the bank makes great inroads into this prosperous and growing market. European banks need to incorporate various aspects of traditional banking with Islamic banking concepts in order to fully capture the Islamic market in Europe. While being compliant with Islamic principles may initially be seen as a hurdle, the potential return and increase in customer base will inevitably outweigh any financial investments and commitments made by the bank. Uncertainty – there is no concept of uncertainty, thus uncertain investment returns are not permitted. Islamic institutions raise money mainly through the main banking services, the current accounts and savings accounts that generally comes under the strict law of Shariah, thus being fully compliant. Mudaraba (Trust Financing): This is a form of partnership in which one partner provides the capital required for funding a project while the other party manages the investments using his expertise. Ijara (Leasing): The ijara contract is very similar to the conventional lease. Ijara is a contract under which the bank buys and leases out the asset or equipment required by its client for a rental fee. This is commonly used for Islamic mortgages. Salam (Advance Purchase): This is defined as forward purchase of specified goods for full forward payment. This contract is regularly used for financing agricultural production. Murabahah (Cost-plus Financing): This technique is used extensively to facilitate the trade finance activities of Islamic financial institutions. The bank will purchase the necessary goods/equipments and then sell on to its clients at cost plus a reasonable profit. Sukuk (Bond Issue): This essentially amounts to commercial paper that provides the subscribers with ownership in the underlying assets. Article written by Nurul Islam, Founder & Executive Director of the European Bangladesh Federation of Commerce & Industry (EBF) and Director of the Nerissa Group. What happens when you apply modern technology to an ancient practice? A new report from Boston-based Celent concludes that insurers and the vendors that supply them need to answer some fundamental questions before they can reap the rewards of the fast-growing market for takaful, a form of mutual insurance popular in the Muslim world. According to the report, takaful, once a niche product sold largely by small local operators, is rapidly being embraced by multi-national financial services firms with sophisticated product differentiation and distribution capabilities. The report, Policy Administration Systems for Takaful: A Global Solution Spectrum, was authored by Celent analysts Catherine Magg-Stacey and Ashley Evans, and examines the issues that are shaping the market worldwide. A lack of economies of scale and comparatively lower use of technology, means takaful companies are operating with inflated expense rations, according to the authors. The report provides detailed profiles of the core systems available to takaful companies, especially policy administration systems. Yet, the report finds many barriers to widespread technological adoption in the takaful market, including a lack of standardization.